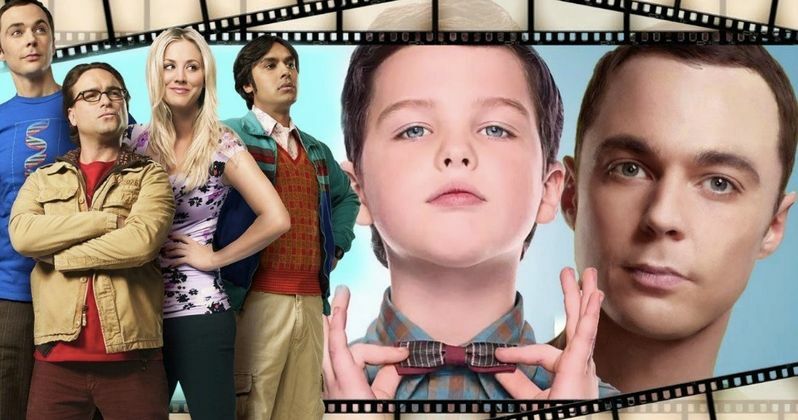 Big Bang Theory fans were a little weary when they first heard about the prequel spin-off Young Sheldon, which looks at the early days of Dr. Sheldon Cooper. But the comedy is paying off. So much so that CBS just announced that it will return for a second season. Big Bang Theory was previously renewed for Season 12 before Season 11 kicked off, with many fans fearing it could be the show's last. But is it possible that Big Bang Theory could go to the big screen even with Young Sheldon taking over the franchise? There have been murmurs of a Big Bang Theory movie before, but right now it just sounds like a bunch of fan wishes and speculation. Star Johnny Galecki suspects that the show will end in 2019. And he didn't have anything to say about a potential movie. He offered these thoughts on the matter. "The only manner in which the cast has discussed wrapping the show is that we're all going to be very sad when that day comes. But I think at this point, everyone's very comfortable with 12 seasons being the time to go home and see our families." CBS doesn't want to see Big Bang end, but the show's top stars earn $1 million an episode, and it has become very expensive. Though the cast is in the midst of a two-year renewal, it is possible the show could stretch beyond that. But if that doesn't happen, giving the show a big screen movie could be a viable option for keeping the series alive. Though, none of the cast or CBS have officially commented on that idea yet. Young Sheldon is sure to keep the franchise alive for the time being, though. Young Sheldon is the most-watched new comedy on any network in 18 years. The show is CBS' first renewal for the 2018-2019 season. CBS President of Kelly Kahl had this to say. "Young Sheldon has made a huge impact on our schedule in the short time it's been on the air. While the show's DNA is clearly rooted in The Big Bang Theory, Young Sheldon has staked out its own place in the TV universe with a unique creative tone, brilliant writing and a gifted multi-generational cast. We can't wait to see Chuck, Steve, Jim and Todd's vision for how the Cooper family deals with Sheldon growing a year older... and smarter." Chuck Lorre, Steven Molaro, Jim Parsons and Todd Spiewak serve as executive producers. Young Sheldon is produced by Chuck Lorre Productions in association with Warner Bros. Television. The CBS press release was shared on Futon Critic.